The NSW Waratahs' forced move to host Super Rugby home games away from Allianz Stadium is expected to bring fans back through the gates. Last year's Australian conference champions are tracking for a rare sellout in their season-opener against the Hurricanes at Brookvale Oval on Saturday night. The Waratahs' best crowd last year was 18,059, achieved against the Sunwolves at the 45,000 capacity Allianz Stadium. With the Manly venue capacity about 23,000, it could be the biggest crowd at Brookvale Oval in a number of years. The Sea Eagles are coming off an NRL season where they averaged their worst home crowds in more than 50 years. The Waratahs will spread their Super Rugby matches across NSW during the next three seasons due to the Allianz Stadium redevelopment. After hosting the Wellington-based franchise on Sydney's northern beaches, NSW have games scheduled at the SCG, the new Western Sydney stadium and in Newcastle. Australian back-rower Ned Hanigan says he is looking forward to a raucous atmosphere at Brookvale. "It's so good to get out to those local crowds, particularly on the north shore where the kids can get around it," he told reporters on Monday. "We love playing there and any sell-out crowd is awesome, and we're really excited to get amongst it." 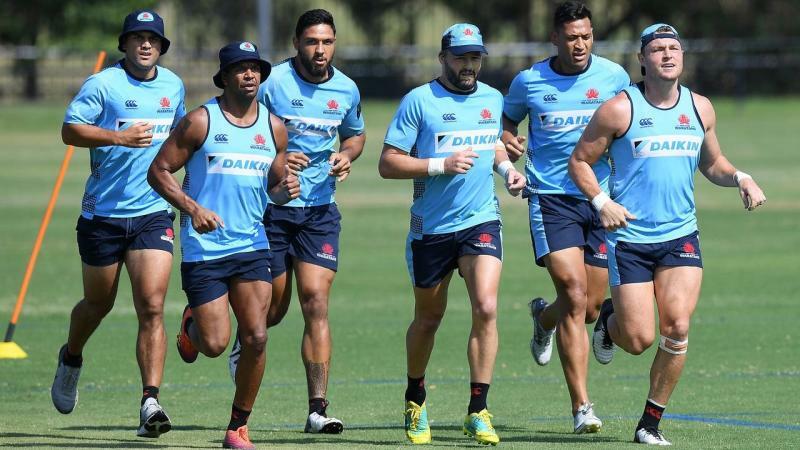 The strong crowd will see a Waratahs line-up that will include Wallabies stars Israel Folau, Michael Hooper, Kurtley Beale, Bernard Foley, Nick Phipps, Rob Simmons, Tolu Latu and Sekope Kepu. The Test players were rested for NSW's two losing trial games but all eight will return to battle the Hurricanes. One man who won't be there is centre Lalakai Foketi, who will be on the sidelines for up to a month after injuring his hamstring in the 34-28 loss to the Brumbies last week. Hanigan, Jack Dempsey and Adam Ashley-Cooper were the Waratahs' only Wallabies to play any minutes during the pre-season.